Before talking about modern poetry, it would be nice to understand the main trends of world development. In the age of rapidly developing information technologies, it is impossible to ignore network literature, it quickly began to play a dominant role in contemporary poetry, which fits well into the global trends. People have access to unlimited exchange. Exchange of ideas, thoughts, creativity. Why am I talking about the dominant role of net poetry? Look in any search engine, how many already there are literary sites on the Internet. Dozens of popular literary portals with thousands of registered authors, hundreds and thousands of small pages of individual users. In addition, every day they become more and more. All this indicates that modern poetry has entered the Internet. It is on the Internet, as in a huge smelting furnace, now almost all modern poetry. Of course, we cannot say that the web is full of unrecognized geniuses. Of course, this is not so. Nevertheless, almost any known and beloved by his contemporaries the poet has his own page on the Internet. It is difficult, sometimes almost impossible, to find true talent from all this huge mass of users, and how to determine the selection criteria? The global trend, both in poetry, and in prose, and generally in any art, be it music or painting, has become a compilation of all the styles and trends that existed before. Perhaps, it is on this basis that a breakthrough will take place to something more exciting than the present one, and it is possible that on the basis of the synthesis of all that exists before we will get such a complete, comprehensive and harmonious picture of the world around us that the need for new styles and directions. 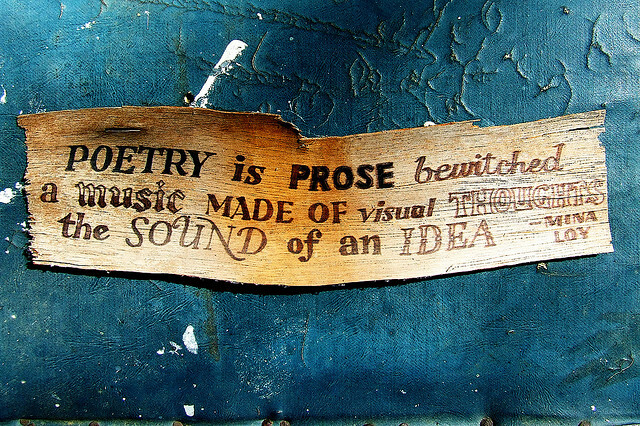 So what is the characteristic of modern poetry? Many mistakenly believe that it is necessary to follow classical traditions and try to observe the canons invented in the century before last. But what do we get then? The rehash of Pushkin, Lermontov and others in a new way? How then will the voice of the modern poet differ from the poet's voice of the 19th-20th centuries? Yes, traditions are good. But they serve only as a basis for further development. It is necessary, but it is not enough to reflect the present in creativity, it is necessary to do it in a modern way. How? I think this is precisely the task of the modern poet. He needs to find a way through which he can most effectively convey to the reader or listener his vision of the modern world. I believe that any advice, criticism is useless at the stage of formation, and sometimes even harmful. After all, there are no two absolutely identical people, so why should one teach another how to write? I do not mean frank spelling, punctuation or stylistic errors. But to advise how to create this or that mood, what means to achieve this or that effect is a personal affair of each author. However, this does not mean that you do not have to work on the word and learn. Learn from others and most importantly from yourself. The Internet in this sense gives unlimited possibilities. To be able to determine for myself the direction and confidently move on it, using the latest technical achievements - the only true way of the modern development of any creative personality. The opportunity to get absolutely different opinions of absolutely different people, who, although they are not professional critics, but are frank and honest in their opinions - is unique and is possible only on the Web. Therefore, both now and in the future, poetry and the Internet are a harmonious pair.